Since making her first foray into spoken word in December 2016, Jen has been a featured performer at Inky Fingers, Interrobang, Hidden Door and Ready – Flyte. She has also performed as a support act at Flint & Pitch Presents and will appear at Story Shop at the Edinburgh International Book Festival in August 2017. 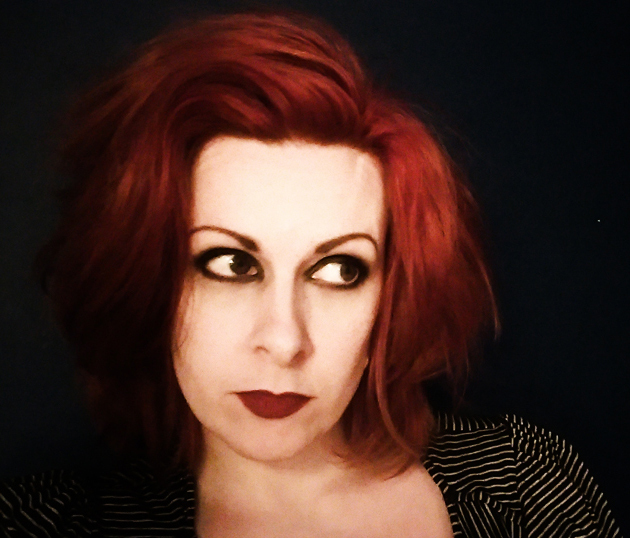 Jen specialises in short stories and poems with acerbic humour and a generous dose of the macabre. She is available for bookings throughout Scotland – contact jen@jenmcgregor.com to enquire. In a combination of poetry and prose, Jen delves into a murky world of horror tropes and gallows humour. Can an avowed sceptic keep her cool when the Uncanny comes to call? Does courage extend further than her phone coverage? Should a grieving woman be more alarmed by the headstone with her name on it or the things that lie beyond the wall? Based on a true story. Aren’t they always? Duration 20 minutes. For booking enquiries contact jen@jenmcgregor.com. Jen performing Grave as a work in progress at Flint & Pitch Presents. Photo by Chris Scott.